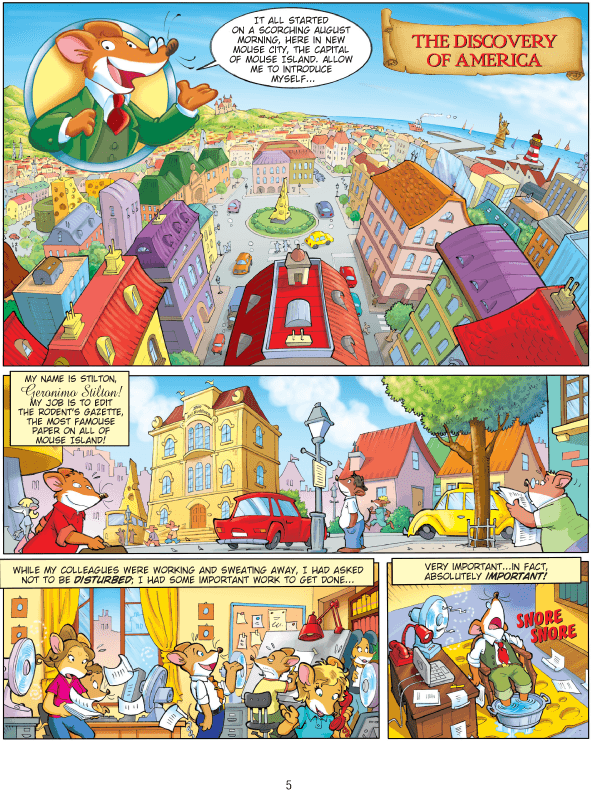 The popular children’s story appears in graphic novel form for the first time in the U.S., with stories never seen in America. 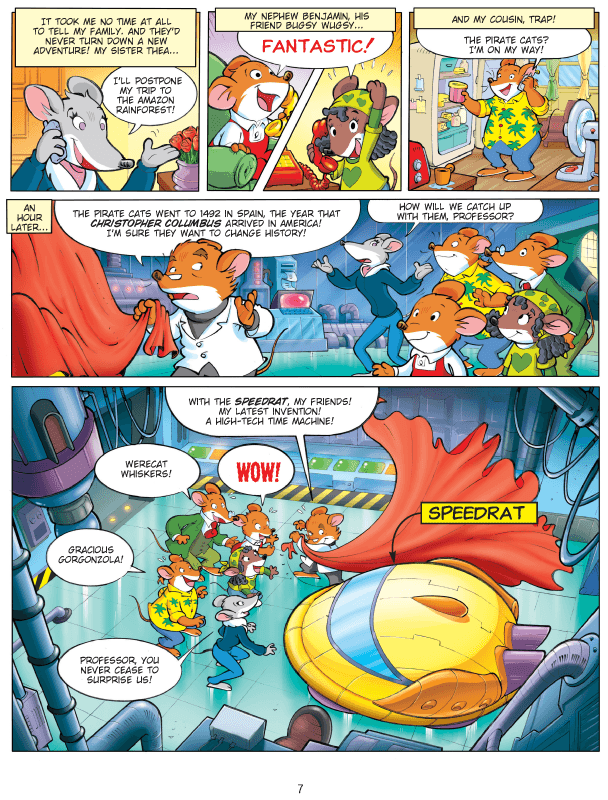 Geronimo Stilton is a talking mouse who lives in New Mouse City on Mouse Island with his friends and relatives. He works at The Rodent’s Gazette, the most famous newspaper in New Mouse City. 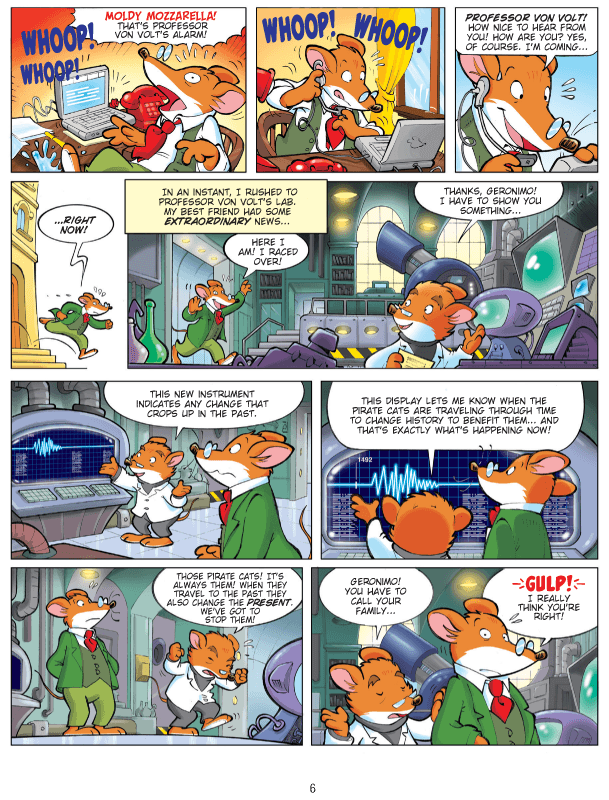 In this series of comics, Geronimo Stilton travels through time in order to defend history from his arch nemeses, the Pirate Cats. These devious felines plan to travel back in time in order to change history to make them supreme rulers of Mouse Island! 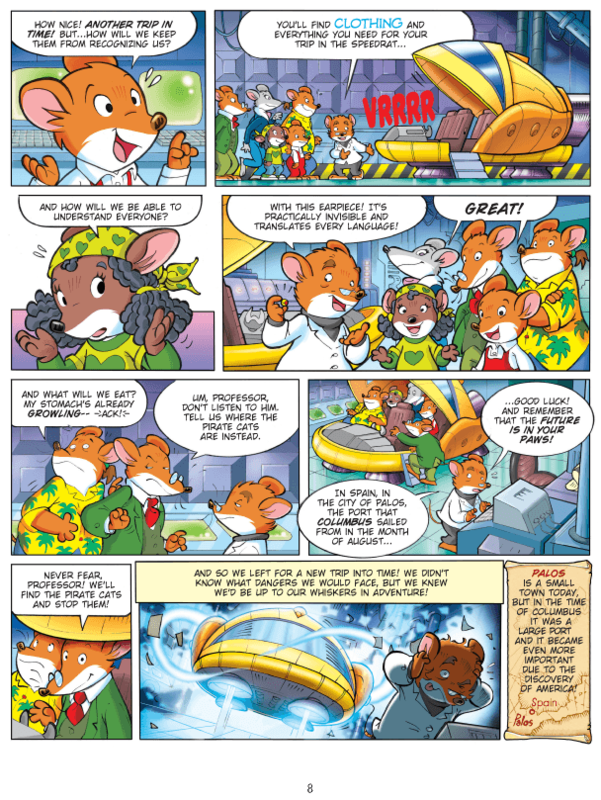 In his first time-traveling adventure, Geronimo and co. join Christopher Columbus on his voyage from Italy to America in 1492 in order to stop the Pirate cats and save all of the mice on Mouse Island.